Mayors London Breed (San Francisco), Michael Tubbs (Stockton), Willie Brown (Ret. San Francisco), Los Angeles County Supervisor Mark Ridley-Thomas, State NAACP President Alice Huffman, and UC Regent Laphonza Butler have been named to the “All In California” transition process for Governor-elect Gavin Newsom. This group of leaders, representing the unique and diverse pockets of the African-American community, is tasked by the All In California Transition Project to recruit leaders from their regions with different experiences and competencies. The second task of the project is to develop policy that is important to the African-American community and the respective areas in which African-Americans live. 2018 polling information from the African-American Voter Registration, Education, & Participation Project and the California Policy & Research Initiative consistently indicates that Black voters in the Golden State want state action on reducing homelessness, expanding affordable housing units, and increasing access to mental health services. 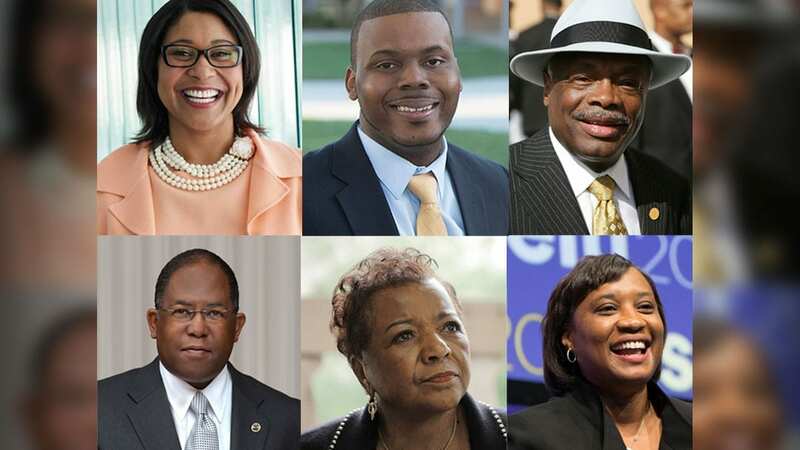 Additionally, African-Americans are leading governmental, healthcare, mental health, financial services, technology, law, and service sector organizations that will be asked to consider their participation in State government as volunteer and full-time appointees on a wide range of issues. California is a complex jurisdiction. Forty million residents, 4 million square miles, three-quarters of the Pacific Coast, $2.798 trillion in economic activity, and a public higher education system that is the envy of the world. California is also home to more than 130,000 individuals who experience homelessness on an annual basis (not including students in those well-regarded public institutions, 10% of whom experience homelessness on a yearly basis), in need of millions of thousands of additional units of affordable and market rate housing, and managing in an era of scare government revenues for schools and social services. The All In California Transition began its work this week and will continue through Newsom’s inauguration. The Governor-elect himself has kept very busy since the election. He has named his two top staff persons: Chief of Staff Ann O’Leary of Palo Alto and Cabinet Secretary Ana Matosantos of Sacramento. Newsom served as Acting Governor for several days while Jerry Brown was away from the state and joined Brown as President Trump visited fire-scorched Butte County to expand the federal aid provided for disaster relief. Newsom also is reported to be considering several new policy initiatives for the early days of his administration, including launching an effort to overhaul California’s system of taxation. The Governor-elect appears to be concerned about the shifts in tax revenue that occur during economic downturns. These drops in revenue strain public services when need expands. Recent declines in the stock market and slowdowns in home sales may be forecasting decreased economic activity. The incoming Newsom Administration inherits nearly a decade and a half of volatility and instability that was managed with parsimony and tight-fisted budgeting. The California of the future will be shaped in the next few years. For those interested in being considered for gubernatorial appointments, www.gavinnewsom.com/apply is the first step in leading the Golden State to its brightest and best future yet.